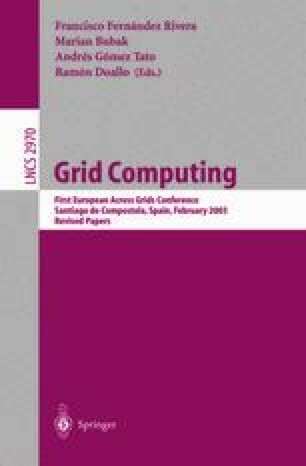 The paper presents the functionality and software design of G-PM, a tool for evaluation of Grid applications performance. Due to the highly distributed and dynamic nature of the Grid, the issues of run-time measurement definition, selective instrumentation, and efficient data collection mechanisms need to be addressed. Providing data on the interaction of distributed application components which is meaningful in the context of an application is essential. The tool offers standard and user-defined measurements as well as means for performance visualization. It gathers information about a selected application via the well defined interface to the OCM-G monitoring system. High-level performance properties are defined by the user via a consistent user interface, allowing for extendible insight into the performance of the application. This work was partly funded by the European Commission, project IST-2001-32243, CrossGrid.